Fishing boats across the archipelago were forced into port for months during the government’s licensing freeze, part of a bid to root out illegality in the sector. Now, president Joko Widodo’s administration has issued a new batch of licenses and announced plans to expedite its permit-issuance process. Experts urge the government to make sure environmental considerations are introduced into the permit-issuance regime. The Indonesian fisheries ministry aired plans last week to expedite its permit-issuance process and get thousands of fishing boats stranded in ports across the archipelago back up and running. The announcement, which was accompanied by the issuance of 312 new or renewed licenses, comes amid pressure from business associations and President Joko Widodo to not let domestic fishers fall victim to the ministry’s clean-up of an industry rife with collusion, poaching and overfishing. 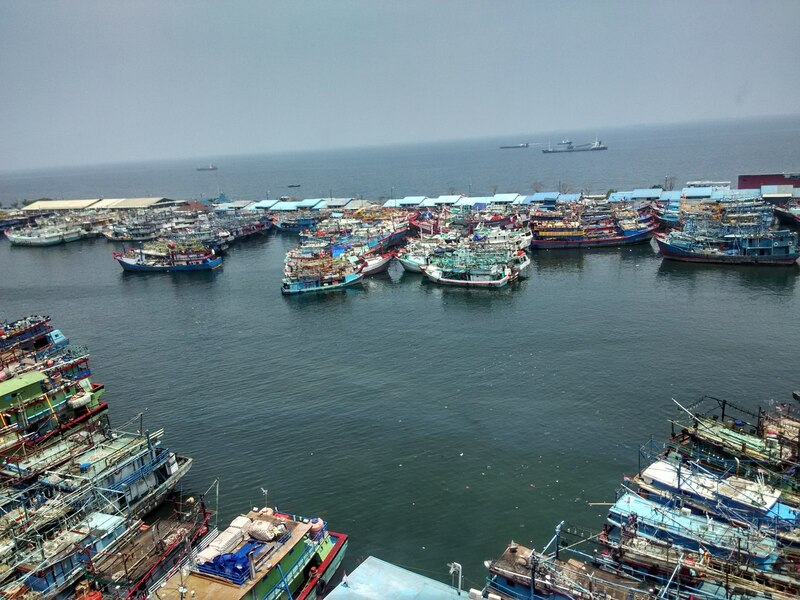 Golkar Party lawmaker Titiek Soeharto, deputy head of Commission IV overseeing agriculture and fisheries at the House of Representatives in Jakarta, told Mongabay that no less than 1,600 fishing boats had been anchored at Maura Baru Port in North Jakarta since early 2016. 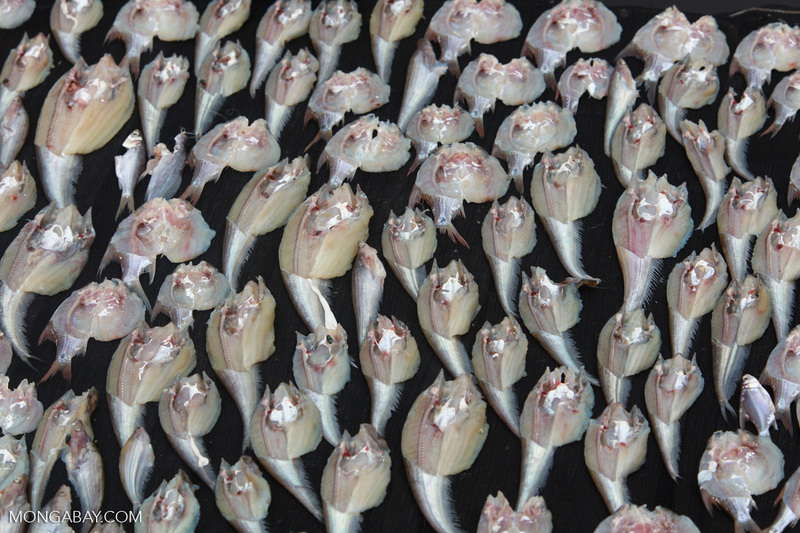 Zulficar Mochtar, the ministry’s acting director general of capture fisheries, said that the aim was to reduce the time it took to obtain a license from a month to five days, and that the ministry had begun spreading word of the accelerated licensing process in the regions. Since taking the reins of the fisheries ministry in October 2014, firebrand minister Susi Pudjiastuti has made maritime sustainability a stepping stone to prosperity. Her flagship campaigns — which include the blowing up of illegal fishing boats and the deregistration of foreign-built boats — have reined in abuses, but also made it harder for law-abiding operators to obtain permits. This is the case “even for boats and companies that are completely Indonesian-owned,” Peter Mous, director of the Indonesia Fisheries Conservation Program at The Nature Conservancy (TNC), told Mongabay. Audits of the 1,336 foreign-built boats registered at the ministry — carried out during a yearlong licensing moratorium — found that zero were complying with all regulations on taxation, crew, fishing rigs and other relevant laws. Those boats have since been banned from future operation. With fewer boats on the water, Global Business Guide Indonesia estimates fish stocks have increased by 240 percent. The government, meanwhile, says its actions have reduced illegal fishing by 90 percent, and though exports are down, more opportunities have been created for small-time fishers, an express aim of the Joko Widodo administration. 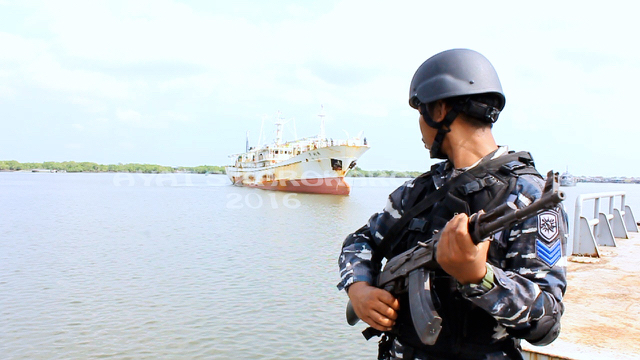 Progress, in other words, has been swift, and the government now looks poised to encourage legal outfits to exploit waters where illegal operators once ran riot. Already the world’s second-largest fisher after China, Indonesia aims to book a 2.4 percent boost in wild fish capture this year by issuing more licenses. “This move will help us continue to improve our performance,” Saifuddin, the director of fisheries controls at the ministry, told Mongabay. Mous, however, says he has found no conclusive evidence that fisheries have recovered to the level claimed by the government, such that overfishing remains a threat. “After all, the first noteworthy measures were only taken by the end of 2014, and the measures [such as the moratorium and the crackdown of IUU fishing in the South China Sea] took some time to get into full swing,” he said. He said a major challenge would be to make sure environmental considerations are introduced into the permit-issuance regime. In Indonesia, operators with fishing permits get unfettered access to the oceans, meaning they can fish at times and in quantities of their own liking. “Thus, the threat posed by free-for-all fishing is really far more sinister and pressing than the theft of fish by foreign vessels,” maritime analyst Elle Wibisono wrote recently on the Think Nusantara website. Though destructive illegal fishers have been stymied, ensuring legal fishers don’t reproduce the destructive effects will be the government’s next big challenge. M Ambari. “Akhirnya, KKP Terbitkan 312 Izin untuk Kapal dan Pengusaha Lagi”. 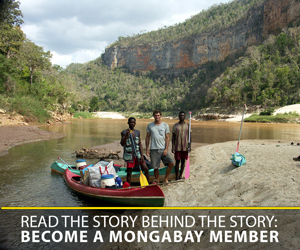 Mongabay-Indonesia. 22 June 2016. *A previous version of this article mischaracterized the nature of a partnership between the Global Fishing Watch system and the Indonesian government.